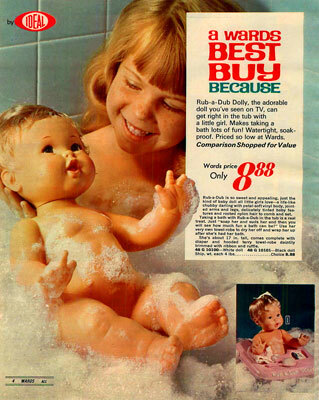 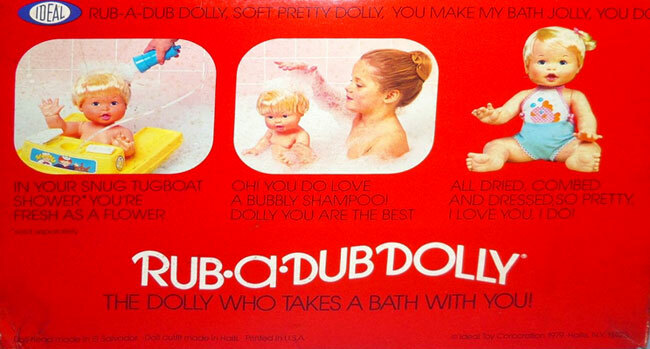 "The dolly who takes a bath with you!" 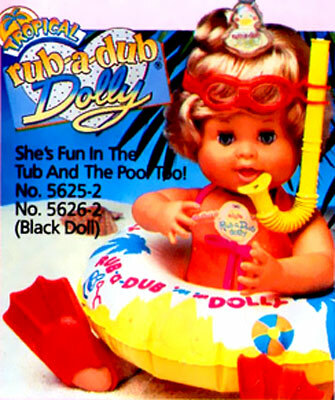 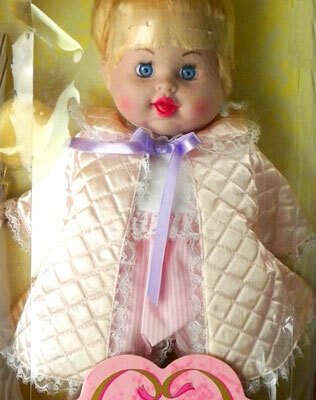 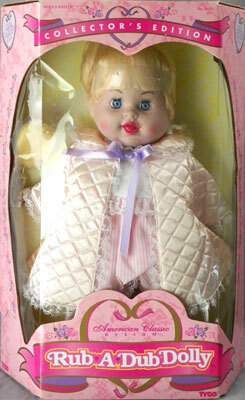 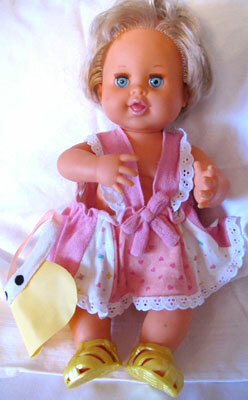 Rub-A-Dub Dolly was produced by Ideal from 1973, then Tyco from 1989 (after they acquired Ideal). 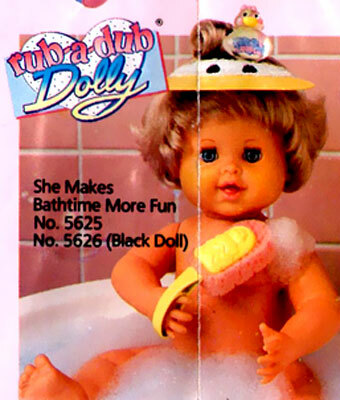 She was a 17 inch vinyl doll made for bath-time fun. 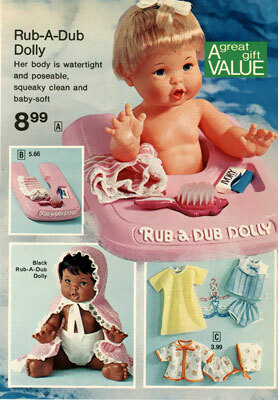 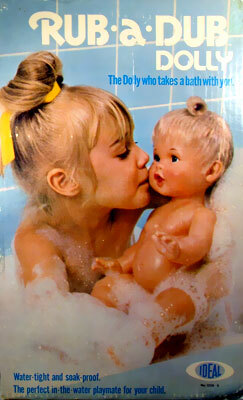 Rub-A-Dub Doggie was introduced in 1981 and proved just as popular as the dolls. 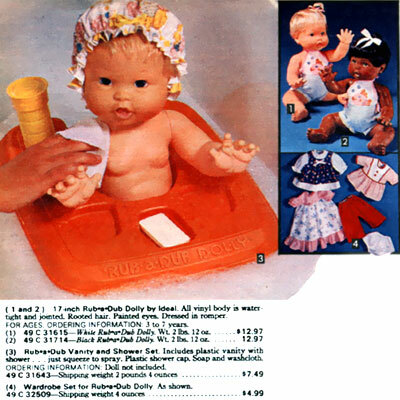 Images on this page thanks to eBay sellers scoundral , bright1655xr , malibuanthony , kathyshaw-2012 , demiq60 , tikipugmusic , dealsandbargains2015 , deanh1955 & childlikewonder ! 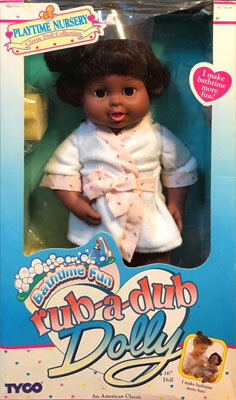 View all Rub-A-Dub Dolly on eBay.com or eBay.co.uk ! 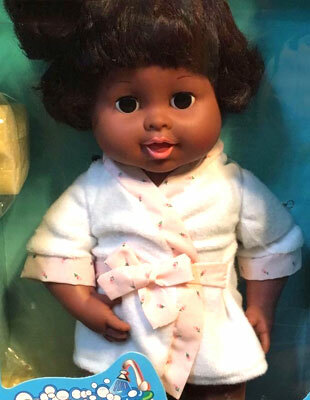 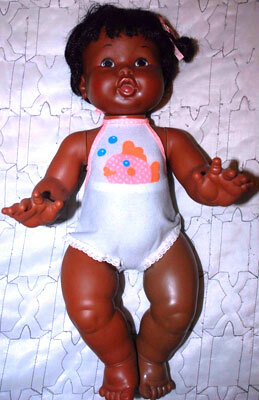 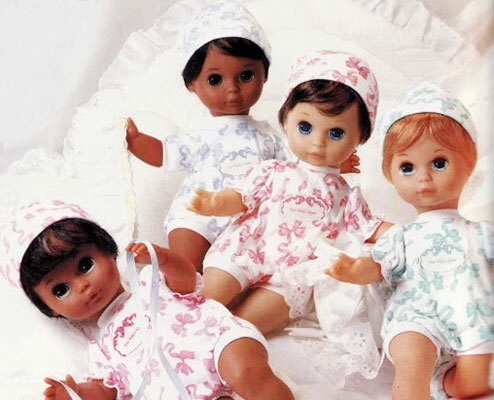 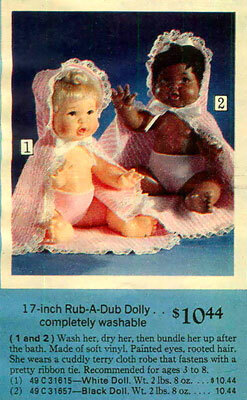 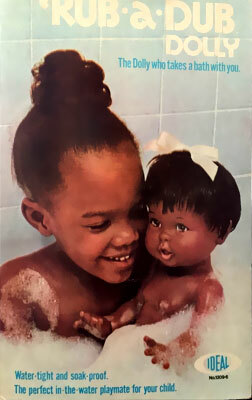 There were two dolls produced by Ideal from 1973, one white and one black. 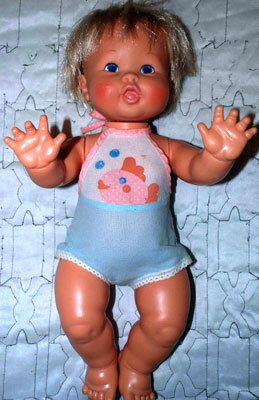 The dolls were either dated 1973 or 1978 on the back. 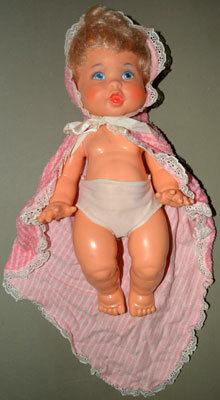 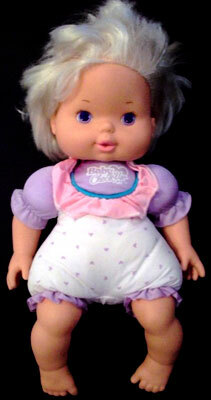 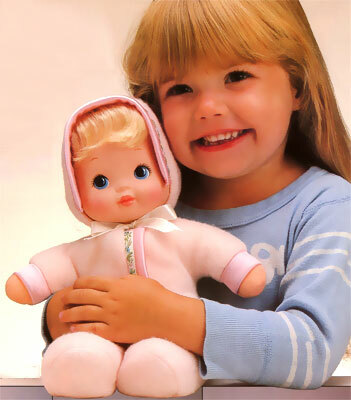 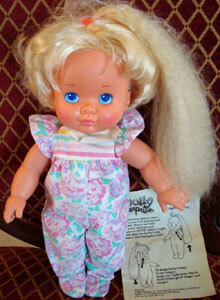 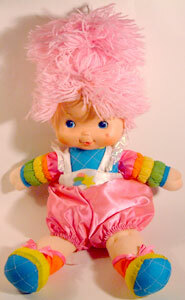 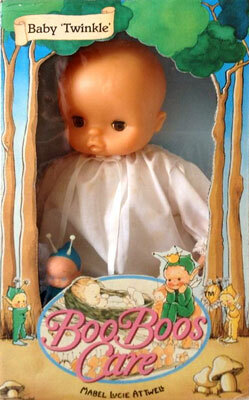 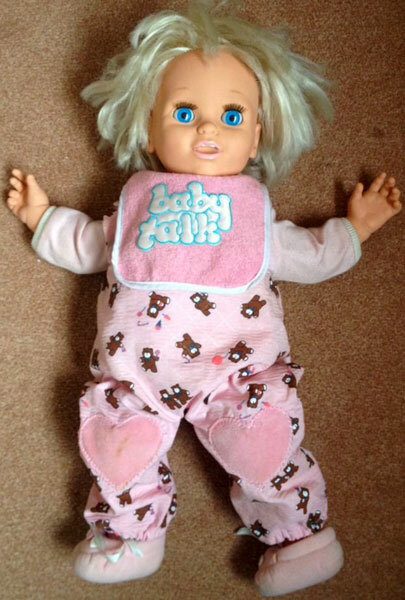 The first dolls came with a wearable towl and nappie. 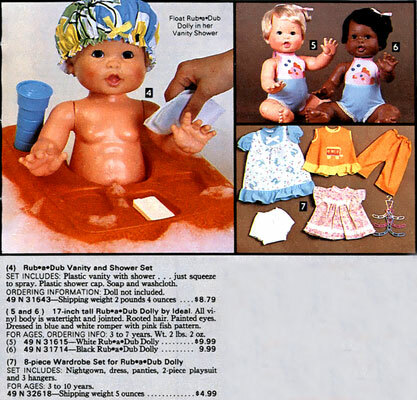 In 1979 the dolls came wearing a bathing suit. 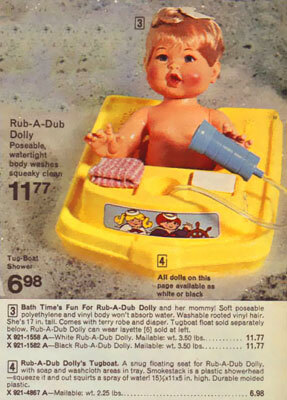 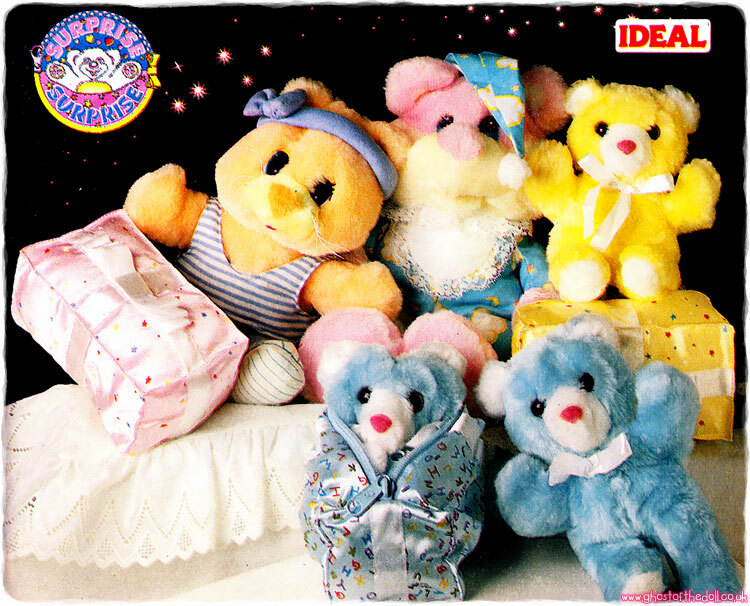 In 1989 Ideal was aquired by Tyco and Rub-A-Dub Dolly was redesigned and re-released. 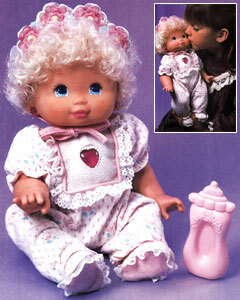 Her pose was slightly different and she now has open-close eyes. 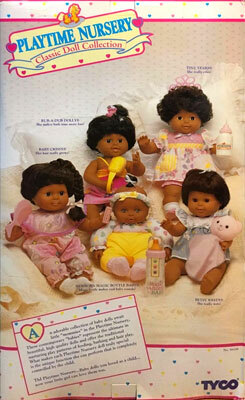 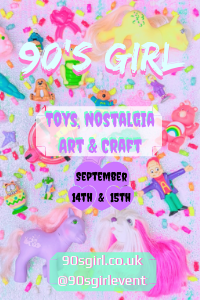 These dolls are all dated 1989 on the back. 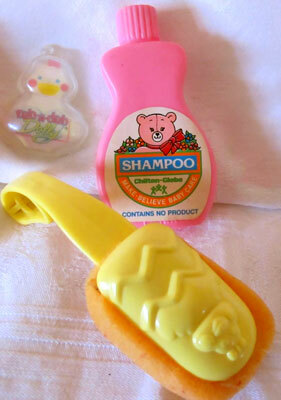 She came with a dress, shoes, sun visor, shampoo bottle sponge on a handle she could hold, and a duck tag. 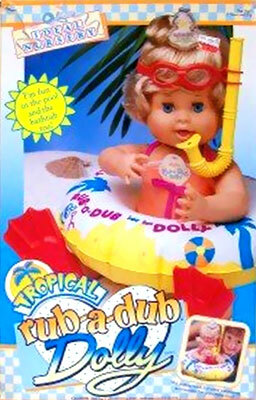 Tropical Rub-A-Dub Dolly was released in 1991. 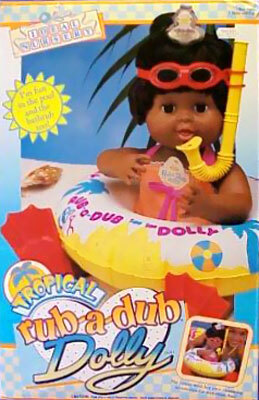 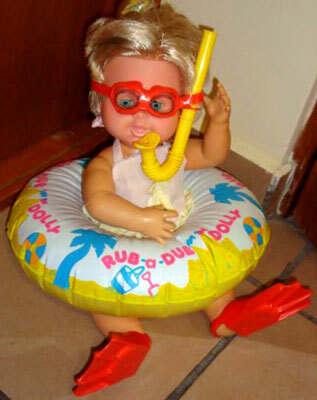 She came with a bathing suit, snorkle, goggles, enflatable ring and flippers. 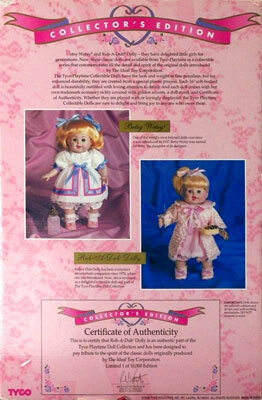 There were two dolls released in 1995 by Tyco as part of the Classic Doll Collection / Collector's Edition line, which also included various other well know Ideal dolls of the 1970's-1980's (see packaging lower down).